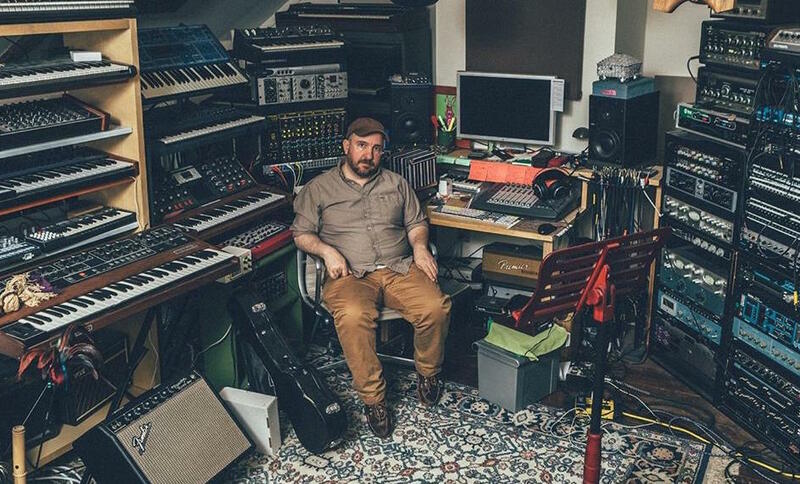 As Liverpool looks forward to seeing Magnetic Fields perform new album 50 Song Memoir over two nights at the Philharmonic Hall next month, Getintothis’ Cath Bore chats to Stephin Merritt. One can’t help but approach a conversation with Stephin Merritt, the guiding force behind Magnetic Fields, with some trepidation. The singer, songwriter and multi-instrumentalist has quite a reputation, not only as someone who indulges in long brooding silences in interviews, but who delivers brusque replies to questions he doesn’t like too much. One journalist referred to him as a curmudgeon. It seemed suitable therefore, to start our little chat by asking him about his curmudgeoness. It goes quiet for a bit. I start to wonder if he’s put the phone down. ‘How dare you say such things! This interview is over!’ he cries, with drama and mock indignation. Turns out the curmudgeon theory is a little off base. He’s got quite a dry sense of humour actually, one that shows itself when you least expect it. But there are silences, lots of them; he speaks slowly, stretching and fattening his words. It’s like he’s filibustering, until the time runs out. And yet, to say Stephin Merritt is prolific is somewhat of an understatement. Magnetic Fields is his main project of course, but there’s been a healthy number of albums released throughout his career – twenty five records at last count – not only by Magnetic Fields but also from side projects as well, plus he’s written musicals, operas, and a book of Scrabble-inspired poetry. In 1999, Magnetic Fields released 69 Love Songs, a three hour long opus, so it seems fitting, then, that Merritt took up the substantial challenge of writing and recording fifty songs, one to represent each twelve months of his life, and made this year’s 50 Song Memoir album. Any listener to the record can’t help but feel that they know the man intimately; he spares little detail, all areas of his life are explored, it seems; his medical history, love life, his relationship with his mother; it’s an intimate record, for someone who doesn’t seem, on speaking to him, ready to share that much on a one to one basis. There’s a silence, a long one, so I start to ask another question. He gives a little laugh. I try the question again, about what’s so special about turning fifty, to him personally. 50 Song Memoir contains songs about so many people in Merritt’s life, his mother Alix in particular features in a very honest way. Did he censor himself much on the record to save the blushes of others, and how much of a compromise did he make? And what did your mother say when she heard it? Being a hippy ain’t the worst thing, and 50 Song Memoir is a concept record if ever there was a definition of one. Merritt’s upbringing was unorthodox, to say the least. He moved around a lot, and didn’t meet his father, the folk singer Scott Fagan, until 2012 and in his mid forties. Different geographical locations must have had an influence on his musical education, surely? Going from town to city, country to country, soaking up local cultures must have had an impact. Or so you’d think. He laughs again, at the thought. So you’d say you prefer your own company to anyone else? There’s a long silence, but I’ve learned by now to let the man speak. That makes sense. And yet, I’ve read that Merritt, when writing, doesn’t find his own company useful; most of his songs are written while sat in gay bars. Some writers insist on quiet in order to work, but he is different again. ‘I have a hard time writing in silence actually, because I have music continually in my head. So in silence I hear the music that happens to be in my head like a TV commercial from the early 70s or a song I don’t like. What I have in my head right now if Lene Lovich’s Lucky Number which I was talking about in the last interview. Not only is he a songwriter but has written poetry as well. Does he pursue other types of creative writing? 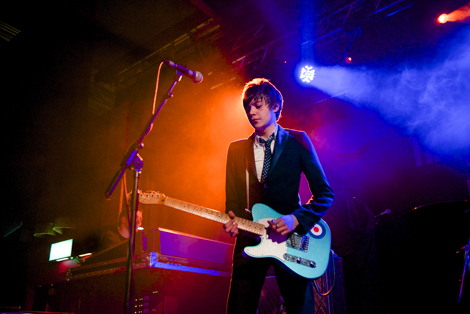 Merritt has said on a number of occasions that he doesn’t enjoy live music, either as a consumer or performer. I wonder why that is. ‘I have a hearing disorder so anything louder than a string quartet is too loud for me,’ he explains. ‘I wish there was a way I could sit in my studio and edit the performance together. Basically I always want it to be like a record. I want it to be the conditions of the record. I’m tempted to think he’s having a bit of fun with me here, so after we’ve finished talking I look up The Bugaloos. And fair enough, it was a bona fide kids telly show, between 1970 and 1972. All spaced out or primary colours, the show’s moral themes an endless tussle between good and evil. ‘(it’s) much more fun that going to a theatre all the way across town and sitting in a tiny little red seat and trying to hear loud music in a place with one of two thousand people in it,’ he says. Nevertheless, despite his lack of ease in such places, Magnetic Fields are to perform 50 Song Memoir from start to finish over two consecutive nights at Liverpool Philharmonic Hall. What’s the set up? AIs he expecting fans to buy tickets for both shows? Well, we have loads more Beatles touristy stuff now. You’ll have a ball, come September. ‘Next time we’ll go happily playing in The Sea of Holes then!’ He laughs, much louder this time. There you go; Stephin Merritt; maybe not much of a curmudgeon after all. Magnetic Fields play Liverpool Philharmonic Hall on September 3 and 4.